This page gives biographical information and research interests of HSR group members. Monday: speech group 11:00-12 and Transducer group 1-2. The Journal club meetings are Wed 10-12:00, 2169BI. Dr. Jont B. Allen received a BS in Electrical Engineering from the University of Illinois, Urbana-Champaign in 1966, and MS and PhD from the University of Pennsylvania in 1968 and 1970. Upon graduation Allen joined Bell Laboratories, Murray Hill NJ, with the Acoustics Research Department (until 1997) as a Distinguished member of Technical Staff. From 1997-2002 he was a member of the newly created Research Division of AT&T Labs. In 2003 Allen retired from AT&T and joined the Dept. of Electrical and Computer Engineering of The University of Illinois, as a tenured Full Professor. Jie Lu received her BS in Nuclear Engineering and Techniques from Sichuan University in 2010, China and MS inNPRE from the University of Illinois at UC in 2013. She pursued her PhD degree in ECE+NPRE at University of Illinois at Urbana-Champaign with Prof. Allen, since Dec. 2013. Her PhD work is about phonetic perception and reading disabilities in grade-school children. Cliston Cole earned both his BS and MS in Electrical Engineering from Tuskegee University. After completing MS he joined Naval Air Warfare Weapon Division at China Lake, CA, where he worked as an electronic engineer. He is currently pursuing his PhD degree in Electrical and Computer Engineering at University of Illinois, at Urbana-Champaign with Professor Jont Allen since the July 2010. Cliston joined Professor Allen's Human Speech Research group where his interests lie in speech processing for hearing aids. Cliston's research goal is to focus on improving the quality of life for HI by exploring new technology and methods for designing hearing aids. His thesis title is "On the effects of masking of perceptual cues in hearing-impaired ears." He graduated in July 2017 and now is employed at Raytheon. His PhD thesis made several important break-throughs (pdf). Hopefully he will to follow up with some publications. The work was presented at IHCON-18 in Aug, 2018 pdf. Sarah received her Bachelor of Science in Applied and Engineering Physics from Cornell University in May 2010, with minors in Electrical Engineering and Music. She is currently studying time-domain modelling of the middle ear. She is working in the Naval Resh Lab (?) in MD following graduation, where Eric also has a job. Chris is an ECE MS student working on nonlinear cochlear modeling, with the goal of prediction perceptual features in real speech. Several younger students are trying to extend and refine his linear and nonlinear near-real-time models of the cochlea. He is working in MI in the auto industry, doing signal processing work. Junior in ECE in signal processing. As of Jan 1, 2018 she is doing a masters at CMU in machine Learning. Chloe is a Junior in Electrical Engineering, and working at Mimosa Acoustics. She joined the group in 2012 Spring. She is interested in biomedical instrumentation, digital signal processing, and brain plasticity. Jan 1, 2018: She is had enough of working in industry and plans to return to Graduate school for masters and PhD. Noori Kim received her BA and MS in Computer Science and Engineering from Ewha Women's Univ. in 2006 and 2008, South Korea. She is currently pursuing her PhD degree in Electrical Computer and Engineering at University of Illinois, Urbana-Champaign with Prof. Allen since Jan. 2010. Her research interests include medical image processing, information visualization, human-computer interaction, virtual reality as well as analysis of bone driver transducers. Andrea Trevino received her BS in EE from Rice University in 2007 and MS in ECE from the University of Illinois UC in 2009. She is currently pursuing her PhD in ECE at the University of Illinois UC with Prof. Allen. Her Masters research was focused using statistical signal processing to model spiking at the auditory nerve. Her PhD work is focused on studying hearing impaired consonant recognition. Her focus involves combining the concepts of psychoacoustic experiments with speech signal processing in order to understand how hearing impaired listeners process/interpret existing acoustic cues. Generally, she is interested in signal processing, cochlear modeling, hearing aids and speech processing/recognition. In March of 2013, Andrea was the recipient of the UIUC Bob Bilger Graduate Student Award. Andrea passed her final exam Oct 10, 2013. Her thesis TECHNIQUES FOR UNDERSTANDING HEARING IMPAIRED PERCEPTION OF CONSONANT CUES may be found at pdf. Following graduation Andrea is doing a Post-Doc at Boys-Town National Hospital research center in Omaha NE, where she is working with Steven Neely and Michael Gorga. In 2017 she moved to LA and is working in a startup, leading a group, and climbing mountains for fun. Christoph received his BS degree in a translation program from the University of Applied Sciences (Northwestern Switzerland), University of Haute Elsace (France) and the Furtwangen University (Germany). He joined Professor Allen's Human Speech Research group in 2011. He is interested in speech processing and speech perception to improve hearing aids. Following graduation Christoph moved to DTU, Copenhagen Denmark, where he is in Torsten Dau's Research Group. By 2017 Chris had graduated and has moved on, with his PhD in had. He also published the work he did with me at IL, and Dau is a coauthor. Sundeep received his BS in Electrical Engineering from the University of Illinois in May 2007. He has worked as an audio engineering intern at Motorola for Summer 2006 and 2008. His interests lie in audio engineering and the production of sound. On December of 2012 Sundeep submitted his MS Thesis, and graduated. He has been working at The Citadel Group for several year. He was also recently married (Oct 20, 2012), so his live has significantly changed in several very ways, in just a few months. Having a clinical Audiology Master degree and clinical experience for several years, Woojae interests include cortical evoked potentials, neuroplasticity as well as speech perception in hearing impaired listeners. She wrote her doctoral dissertation, "Methods for robust characterization of consonant perception in hearing-impaired listeners", and received her PhD degree in the Dept. of Speech and Hearing Science (SHS) from the University of Illinois in Urbana-Champaign (UIUC) in August 2011. In UIUC, She presented about 20 papers in the academic conferences with Prof. Allen and she got a "2009 Cognitive Science & Artificial Intelligence Fellowship" from the Beckman Institute and "2010 Phyllis Ariens Burkhead Memorial Fellowship" and "2011 Bob Bilger Graduate Student Award" from Dept. of SHS. On Sept. 1, 2011 Woojae starts her faculty career in South Korea. On July 24, 2011 Woojae writes I have just been appointed an assistant professorship at Hallym University, College of Natural Science, Div. of Speech Pathology and Audiology, in Korea. Note that Hallym is the best University for Audiology in Korea. I have Seen Woojae several time at conferences. She is always very warm. I do wish her the best of success. I think she has several kids at this point. Austin Kim graduated with a Bachelor of Science in Electrical Engineering from the University of Illinois at Urbana-Champaign in May 2009. He is currently pursuing a Masters in Electrical Engineering and is a teaching assistant for ECE 410 - Digital Signal Processing. His interests primarily lie in digital signal processing, communications, and languages. Bob received a Bachelor of Science in Electrical and Electronics Engineering from the University of Illinois in Urbana-Champaign in December 2008. During the summer of 2008 he held an internship at GE Healthcare, where he worked on troubleshooting CT diagnostic imaging systems. Bob is living happly in Chicago, very busy and well employed, with his wife and child. Abhinauv Kapoor received his BS in EE from the University of Illinois in December 2006. He held and engineering development position at Motorola from May 2006. His interests lie in signal processing and information coding in speech. He has taken courses such as Digital Signal Processing, Digital Imaging, Advanced Digital Communications and Wireless Communication Systems. He hopes to work in a cutting edge field involving Communications and Signal Processing. Now working at Bloomburg in NYC. Abhinauv comes to IL to the Jobs fair, on a regular basis, so we run into each other now and then. His MS thesis has had may citations. It is a great piece of work, and has triggered several PhD dissertations. The core idea in his thesis has gone a long way. Nice work Abhinauv. Anjali recieved her BE in EC from Gujarat University in India in 2006. She worked at Raman Research Institute, Bangalore and thereafter in Tata Consultancy Services, Bangalore before Joining UIUC for MS in ECE. She is presently working on verification of feature regions for speech sounds and plans to graduate in August, 2010. She has taken several courses such as Audio Engineering, Speech Processing, Random Processes, Probability Theory and Multimedia Signal Processing. After a year at Etymotic as an Engineer, she is now pursuing her PhD at CMU. Married Dec 10, 2012. I suspect she has graduated by now. Riya Singh received a Bachelor of Technology in Electrical and Electronics Engineering from the National Institute of Technology, Surathkal, Karnataka, India, and is currently working towards her Masters in ECE, with plans to graduate in May 2010. She is interested in signal processing and speech perception. Riya works at the Mathworks, as a software engineer. Here is her graduation party (mp4) Riya is married and was working in a startup in CA the last I heard from her. Received her MA in Linguistics from the University of Illinois, Urbana-Champaign in 2005 and is in the Doctoral program working on a degree in Speech and Hearing Science. The research project is titled "nonsense syllable confusion matrix and nonword repetition tasks in Korean-English bilingual children," working with Dr. Allen (ECE) and Dr. Johnson (SHS). At present, she serves as an instructor for SHS120, Beckman CS/AI fellow and AHS Block-grant fellow; was Dr. Allen's research assistance for Readinggroup project (2007). Feipeng Li received his BS and MS, both in EE from Wuhan University, China, in 1996 and 1999 respectively. After graduation he joined the National Remote Sensing Lab at Wuhan University, where he worked as a research scientist. In Aug. 2003 he became a PhD student in the ECE Department at UIUC. From 2005 to 2007 he has been working as a TA for ECE410 (Digital Signal Processing I). He is the recipient of the 2009 Sundaram Seshu International Student Fellowship from the ECE department. His PhD thesis is focused on identifying the perceptual cues of speech sounds and enhancing speech for the hearing impaired people. 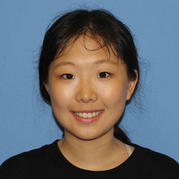 Following graduation in Dec, 2009, Li joined the research group of X. Wang at Johns Hopkins University (JHU) Laboratory of Auditory Neurophysiology, and recently transfered to the Hermanski speech research lab at JHU. Update on Jul 22, 2012: After finishing my PhD, I spent one and a half year learning auditory neurophysiology at the Center for Hearing and Balancing of Johns Hopkins School of Medicine, where I was working on a project aimed to determine the functionality of auditory cortex in primate vocal communication by using a multi-channel wireless neural recording system implanted in the head of free-roaming marmosets. Then I joined the Center for Language and Speech Processing and began working on automatic speech recognition under the supervision of Dr. Hynek Hermansky. Meanwhile, I am working on two projects, one DARPA project on noise-robust speech recognition, with an aim to build a bio-inspired parallel sub-band phoneme recognition system; and the other on spectral and temporal modulation, for which I am planning to apply for financial support. Our aim is to identify the spectral and temporal components that are important for speech recognition in realistic listening condition. Bryce Lobdell received his BS in Electrical Engineering from Purdue University - Lafayette in 2002, and MS in Electrical Engineering from the University of Illinois, Urbana-Champaign in 2006. He has held internetships at Agilent Technologies and Willtek Inc. related to wireless communications. His research interests include the study of speech perception using auditory modeling, information theory, and pattern recognition. Graduated 2009 (PhD), 2006 (MS). Yang-soo received his BA in Electrics Engineering from Seoul National University of Science & Technology in 1994, Seoul, South Korea and MS in EE at Texas A & M University - Kingsville in 1996. In 2008, he earned his Ph.D. in Speech and Hearing Science at UIUC. Currently he is an assistant professor in the department of Speech, Language, & Hearing Sciences in Texas Tech University Health Sciences Science. His primary research interest is to enhance the ability of speech recognition in people with hearing difficulties by optimizing the combined hearing of a cochlear implant and a hearing aid. He also examines the relationship between electrophysiological measures and behavior. He primarily uses the electroencephalogram (EEG) to objectively examine hearing and speech perception ability in people with hearing impairment such as people with sensorineural hearing loss, auditory neuropathy, or cochlear implants. He also works on characterizing the effects of the oriental medicine on tinnitus. Sandeep Phatak completed B.Eng. in Electronics & Telecommunications from Pune Institute of Computer Technology, University of Pune in India. He received M.S. and Ph.D., both in Electrical Engineering from the University of Illinois at Urbana-Champaign. His research interests are acoustics, speech perceptiosn and hearing impairment. He is currently working as Research Associate in Army Audiology and Speech Center at the Walter Reed Army Medical Center, Washington, DC. Graduated 2006. Baby #1 2012 ;-). Allen is blessed as Suvrat always remembers his professor during the holidays. If you are in Jersey City, look him up at 80 Sussex St, #4, and say hi from his professor. Andrew Lovitt is at Microsoft as a software engineer, since 2005. Andrew attended the Nov 2, 2011 San Diego ASA Special session on 50 years of Speech Features: where do we stand organized by Allen and others.